In less than 24 hours the big initial WWDC keynote will be over and we’ll know the answers to so many of the questions that we’ve been posing over the last few weeks. With banners already giving huge hints that we’ll be seeing the first glimpses of iOS 8 and Mac OS X 10.10, we’re still left with plenty to guess. 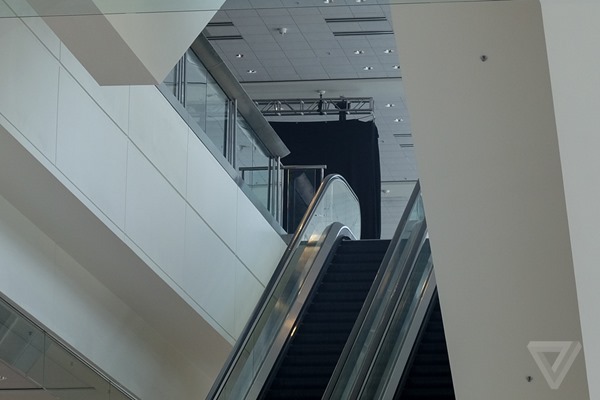 While there has already been plenty of talk around those banners, there are others hanging in the Moscone Center that have had much less attention, reports AppleInsider. Even though Apple is apparently happy to know what will be the theme of WWDC to some extent, it’s still keen to keep some things under wraps. Photos have begun to emerge of yet more banners, but these are covered in black drapes so that we can’t get a glimpse of what lies beneath. Here’s a photo showing one such covered banner, courtesy TheVerge. Apple has been known to keep some secrets right up until WWDC kicks off proper in the past, with the banners depicting features, services or products that will be announced during the big keynote. Apple understandably doesn’t want to give the game away just yet, but expect those covers to be removed once everything kicks off in the morning. 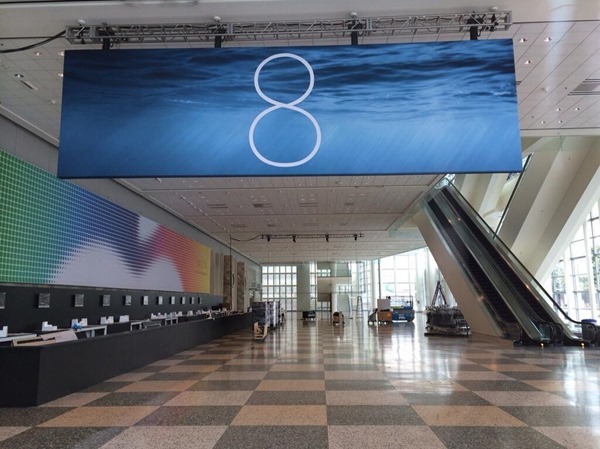 While we do know that iOS 8 and OS X 10.10 are almost guaranteed to be on the cards, what’s under those banners is still anybody’s guess. With the hours ticking down to WWDC 2014, we can’t wait to see what Apple has up its sleeve. We’ll be bringing you all the news just as you’d expect, so don’t fret if you can’t make it to the event. We’ll do the watching so you don’t have to!